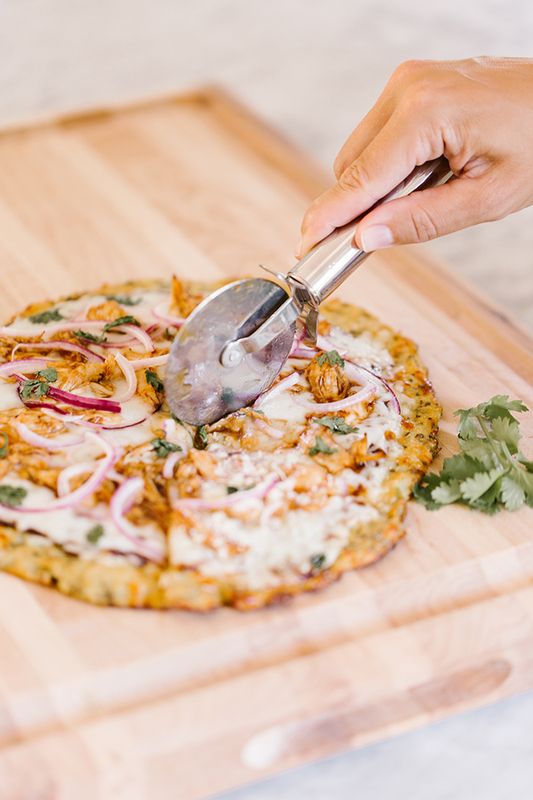 The flavors of a good BBQ chicken pizza are a taste bud’s dream: The sweetness of the barbecue sauce, the saltiness of the chicken and cheese, and the kick of flavor from the red onion and cilantro… All of this results into a flavorful burst of pizza perfection. The only problem is that, as tasty and comforting as a doughy, carb-laden crust may be, it doesn’t always leave me feeling great afterwards. In fact, any time I’ve ordered restaurant pizza lately, it’s almost a guarantee that I’ll feel too full, thirsty from the sodium, and puffy afterwards (and I’m sure I’m not alone!). In the effort to find a satisfying recipe that wouldn’t leave me feeling so weighed down, I recently set out to recreate a gluten-free version of this classic dish. 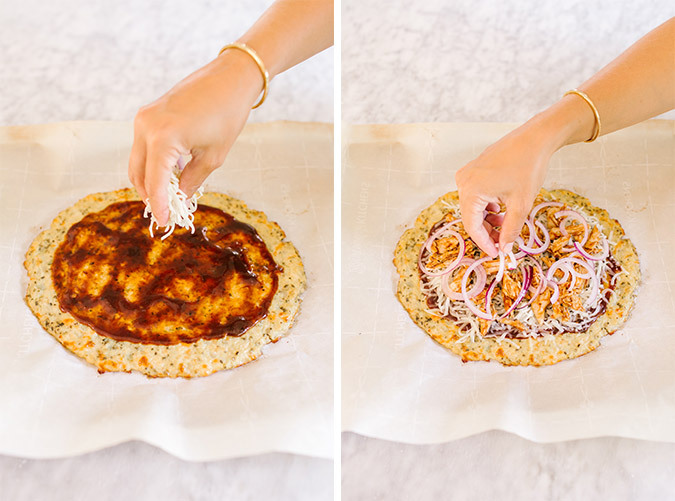 Enter: the miraculous cauliflower crust. Who knew that making a pizza crust out of cauliflower, egg and cheese would be such a seamless substitute for the doughy alternative?! Not only is this crust recipe delicious and low-carb, but it also gives you a nice serving of veggies and fiber that you wouldn’t get with a traditional pizza. 1. If you don’t have pre-riced cauliflower, rice your florets in a food processor. Then, place in a microwave-safe bowl and microwave on high for 8 minutes until cooked. 2. Preheat oven to 450 degrees. Spray a cookie sheet with non-stick cooking spray or line with parchment paper. 3. 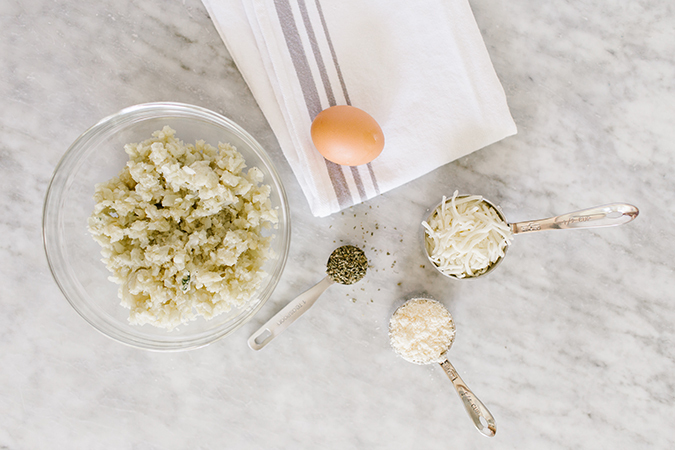 In a medium bowl, stir together 1 cup cauliflower, egg and mozzarella. Add oregano, crushed garlic and garlic salt, stir. 4. Transfer to the cookie sheet, and using your hands, pat out into a 9″ round. Optional: Brush olive oil over top of mixture to help with browning. 5. Bake at 450 degrees for 10 to 15 minutes, or until a light golden brown. Remove from oven. 1. Bake your chicken breast in the oven ahead of time at 400 degrees for 10-15 minutes. One cooked throughout, remove, let cook, then shred chicken with a fork. Toss in barbecue sauce until evenly coated. 2. 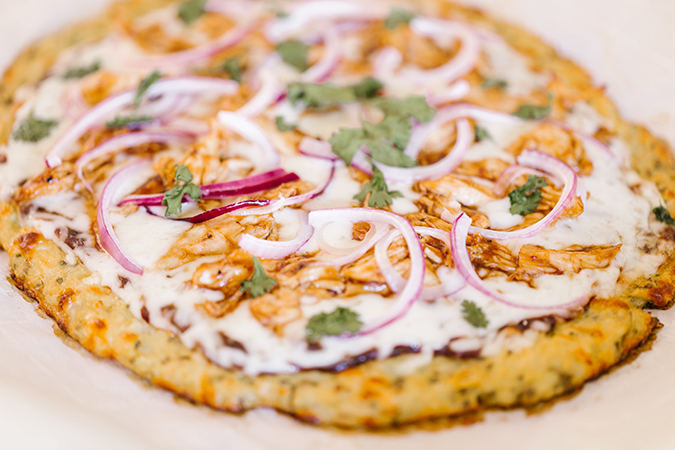 Thinly slice ½ red onion and tear off cilantro leaves. 3. Spread 1 tbsp of barbecue sauce on cauliflower pizza crust, leaving about ½ inch without sauce around the edge for the crust. 4. 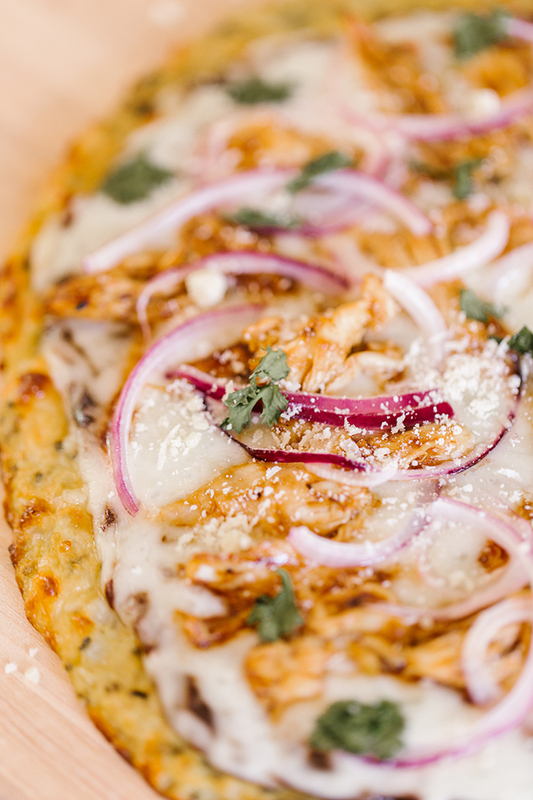 Top with mozzarella, shredded chicken, red onion and cilantro, then pop back into the oven for 10-15 minutes, or until cheese has melted. 5. Remove from oven, sprinkle a bit of grated parmesan cheese on top (optional), then slice and enjoy! 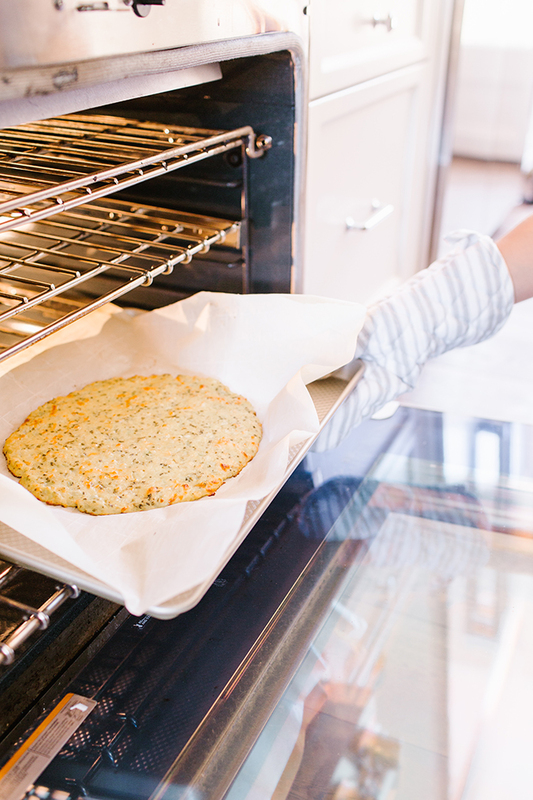 What toppings will you put on your cauliflower crust pizza?